Root Worker, Spiritual Mother, Gnostic Bishop, Vodou Practitioner, and Owner of Conjure and The Root. Salute! 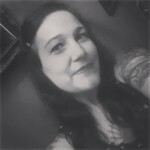 I’m V, a southern root worker born in Southern California, raised in South East Georgia, and traveled all lower southern U.S. states, fond of the swamps, woods, beach, and deserts. My parents allowed me to explore my own spiritual and magickal path growing up. On my journey through a “spiritual gathering”, I have learned, practiced, embraced, and taught many forms of magick. I explored early on Wicca, Witchcraft, Egyptian Mythos, Hinduism, Yoga, and Divination. Later on I embraced Tantra, Gnosticism, Thelema, Hoodoo, Alchemy, Apothecary, and Vodou. But I am like any other ordinary girl, or occultist, root worker, magician, healer, priestess, etc. 🙂 I strive for the liberty and pursuant of the Great Work, accomplishing our True Will. I believe that we all have the power within to rule the Universe as a Star and as a God and Goddess. I do believe we are capable of reaching the highest attainment in Life which is to be in unity with God, whoever your God may be. Fast forwarding to the present and skipping all the juicy details, I grew further into the being I am today. It became clear to me as the years went on how much the Loa (Vodou spirits) had shaped and guided me through times and trials in life. As any person who has ever experienced anything magickal, mystical or paranormal, you know how this can stir a basket of different ideas and emotions: doubt, skepticism, excitement, fear, happiness. You name it, I probably experienced it. Over time, you come to embrace this fact and then the door is wide open to a lifetime of more adventure! The Loa have guided me to where I am today and this work here, providing tools for people like you and me. I consider myself a healer and a catalyst. My goal is to provide people with the tools to gain Gnosis, enlightenment. It’s not always the easiest task in the world to do; people come and go in life and on this path. I have left behind many old friends, not always by choice. Sometimes old friends just don’t understand or can’t keep up with the changes that you go through when you’re aware of your path and the choices you have to make. Sometimes you reunite when the time is right, sometimes you don’t. I have experienced both. It never changes though; even through the sacrifices, that what I am here to do is to put forth the opportunity, the tools, and the knowledge to real people who are in search of happiness, love, and all that fluttery good stuff we enjoy. Well, yes, even for the darkest parts of our souls, we all have one. Yes, I am still that independent, sometimes shy girl, always learning about the Occult, and working on finding all the secrets in life and thereafter, I am still the loyal, blunt, honest friend. I am still the artist and the dancer. And I finally went back to college and graduated with a criminal justice degree in 2011. Since then, I am now working towards a Master’s in Mental Health Clinics to work as a therapist for alternative families and lifestyles, specializing in areas of gender identity, sexual orientation, sexual health, and the like. I have worked very hard to make my life the way it is today, nothing is ever perfect, yes we all make mistakes, but we learn and grow from them and I teach this to those in life that need to hear this little piece of good advice that our mom’s and dad’s try to teach us too! So, in closing, I hope that my share of who I am as a real person inspires something in each of you to be unique and embrace the self, to always continue to strive to be a Queen or King. I hope that you will cherish your own path as everyone is unique in their own right. I stand for self truth, responsibility, vigilance, and the pursuit of personal enlightenment. Your way is the right way, don’t let anyone tell you different.